Lavrov and Ban Ki-moon unveiled 'the Russian room'. Russian Foreign Minister Sergei Lavrov is in a separate meeting with UN Secretary General Ban Ki-moon. The interlocutors shook hands in front of the media and began their negotiations behind closed doors. Presumably, they may speak about the fulfillment of the agreement on the cessation of hostilities in Syria and the resumption of intra-Syrian negotiations on March 7. 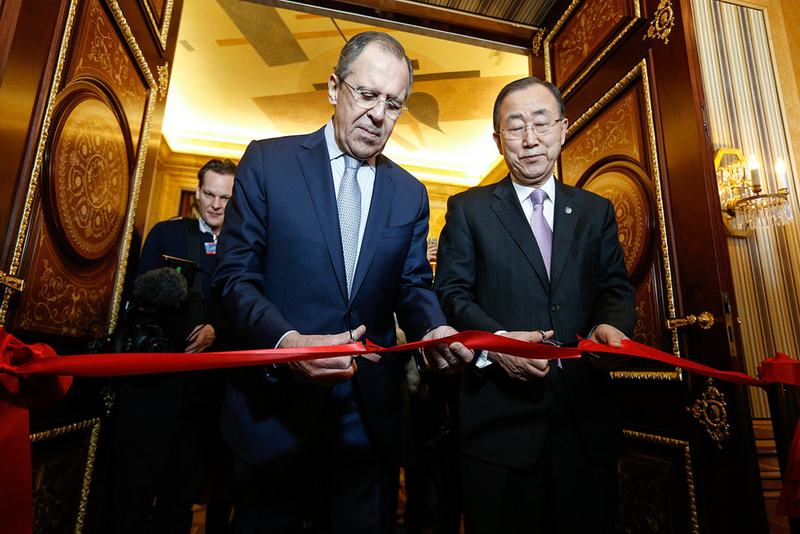 Earlier on March 1, Lavrov and Ban Ki-moon unveiled 'the Russian room' in the UN Geneva office, the Palace of Nations. The 'Russian room' was first opened in the Palace of Nations in 1995, on the occasion of the 50th anniversary of the United Nations. Designer Juan Pablo Molino was invited to do the refurbishments. The project was supported by Norilsk Nickel.